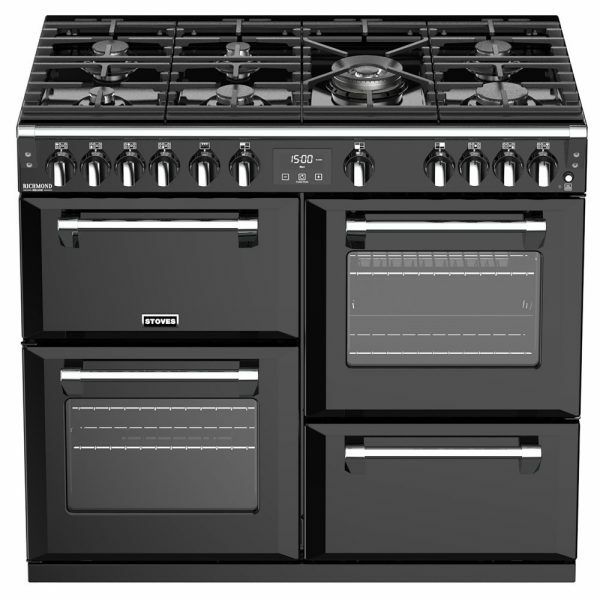 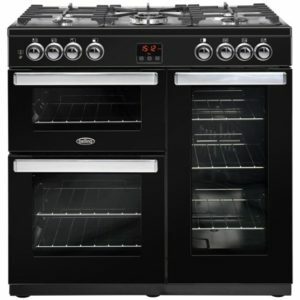 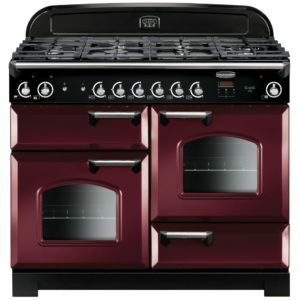 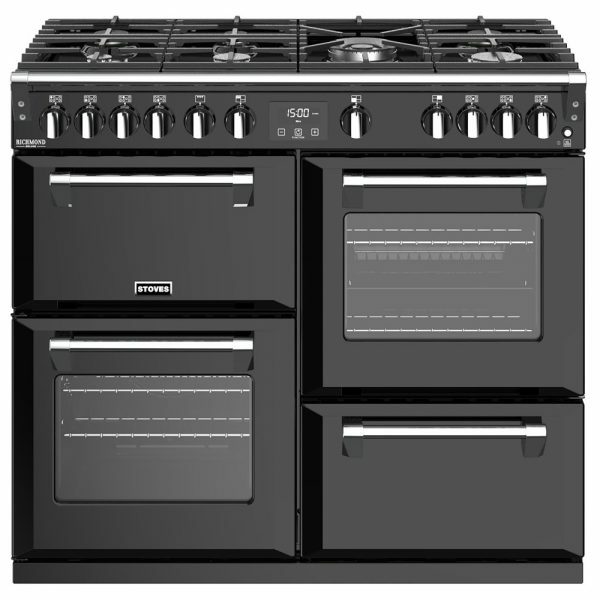 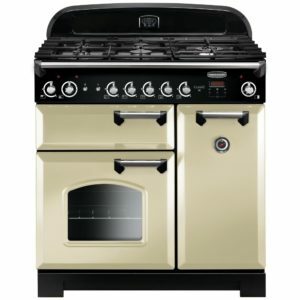 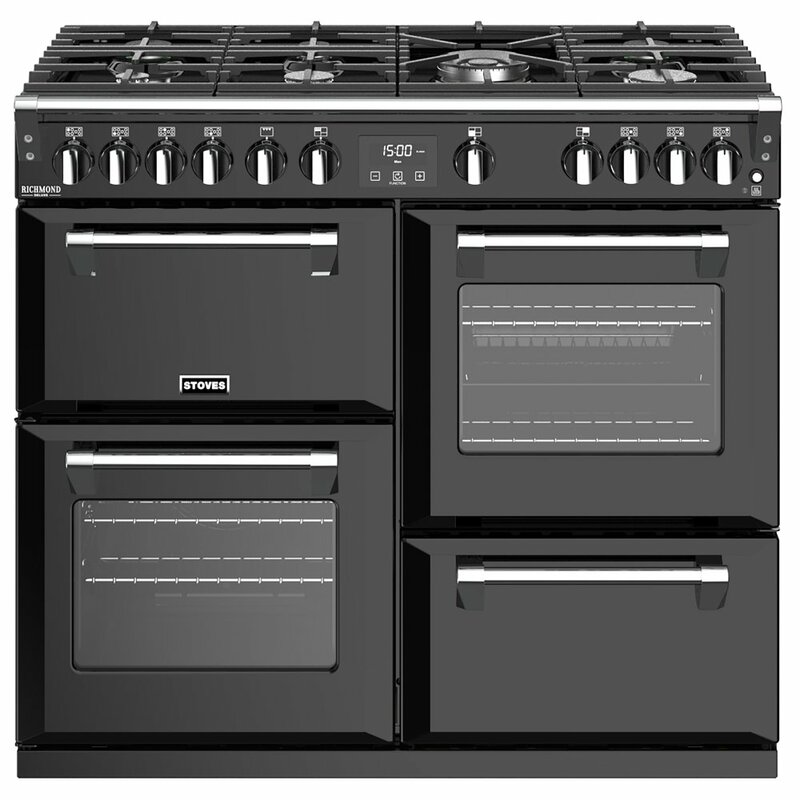 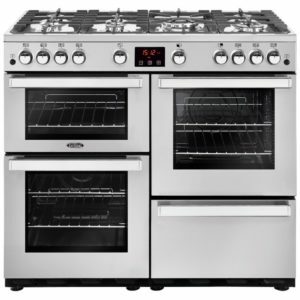 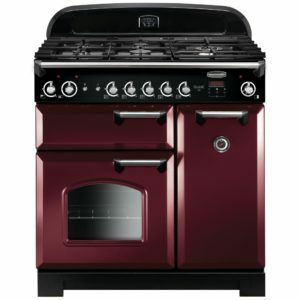 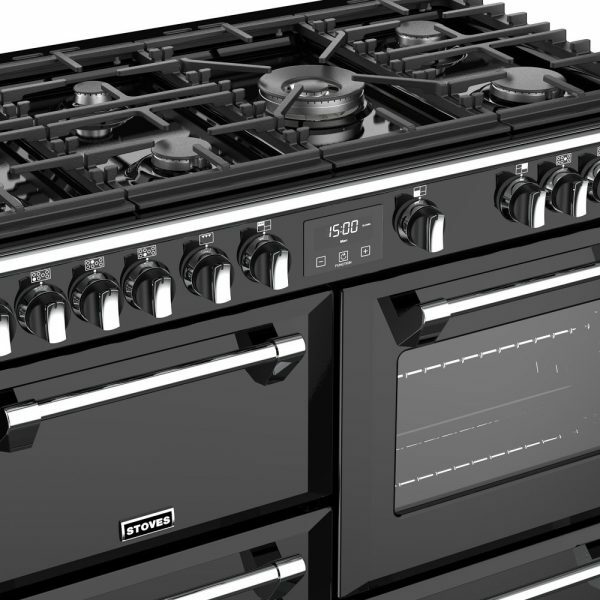 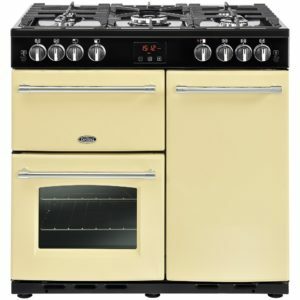 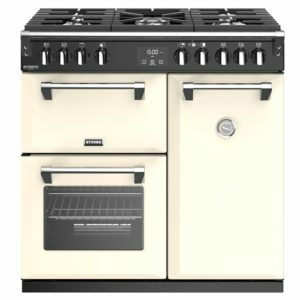 Stoves really do produce excellent range cookers, and with the gas 100cm wide Richmond Deluxe, they show it again. 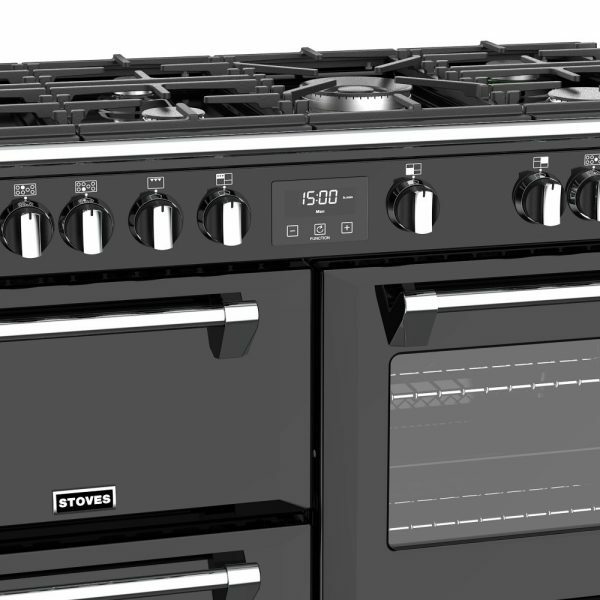 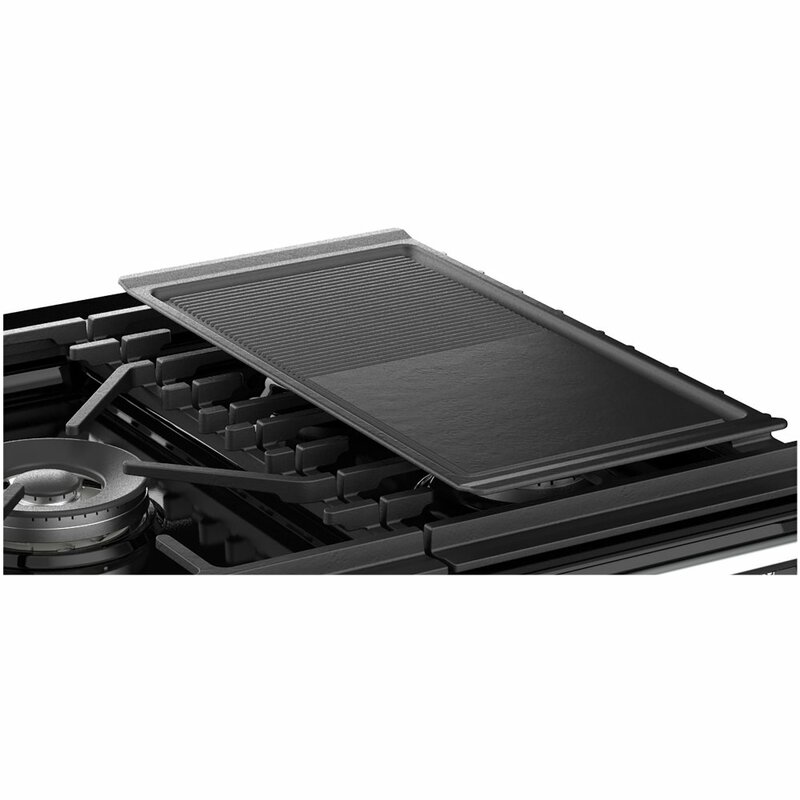 Showcasing traditional style, but adding little modern cooking touches to make cooking more enjoyable, such as the brilliant 7 burner gas hob top. This includes a superb Power Wok burner, for intense heat and Zeus bluetooth connectivity, so you can check the remaining time without being in front of the cooker. 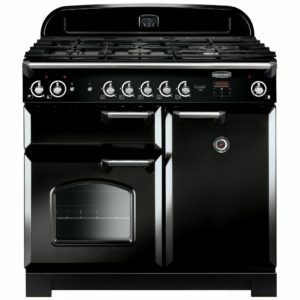 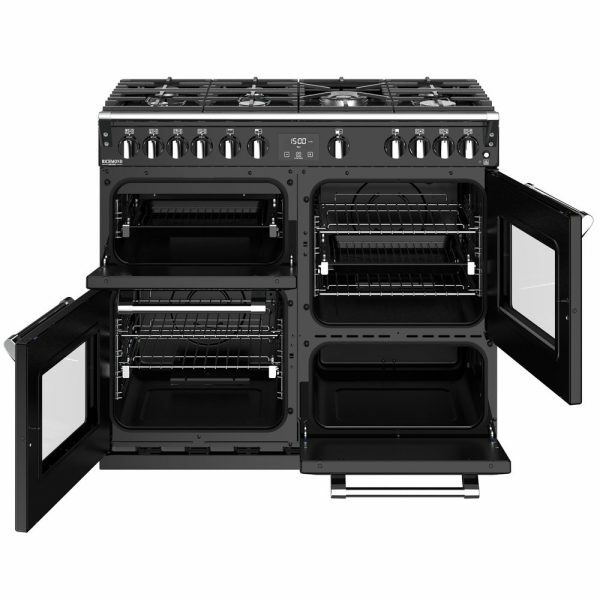 Two great capacity gas ovens and an electric grill offer plenty of space for all your favourite meals and the slow cooker cavity only requires a 13 Amp supply and is incredibly handy for ready-made family meals when you get in after work. 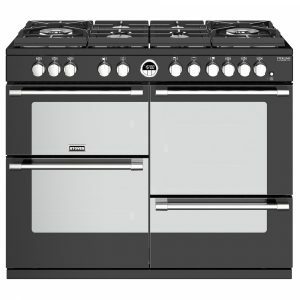 Finished in black with chrome accents, it certainly makes a stunning focal point in your kitchen.